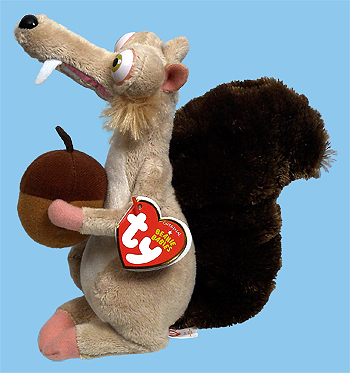 There is a sticker over the front of Scrat's original tush tag. The original tag did not contain the required trademark and copyright information for this Ice Age character. 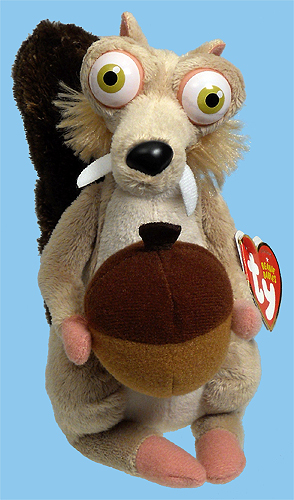 Scrat is the fifth Ice Age movie series character made by Ty. The previous four are Buck (style 40772), Diego (40775), Manny (40773) and Sid (40774).